IBICUS are specialists in face-to-face IB teacher-training workshops. We run large-scale training events at key venues across the Europe, Africa and Middle East region offering a wide range of subjects catering specifically to our customers’ needs. We are often asked if we could visit your school instead of, or as well as, your teachers attending our workshop events. The answer is, yes we can and do. This is often more cost-effective for a school than sending individuals to workshops. This training is individually developed with your school’s needs in mind. Do note, however, that as these are not IB-monitored workshops, they carry no certification and the IBO takes no regard of this training for authorisation or evaluation purposes. Our experienced leaders can also advise and deliver tailored consultancy services for senior personnel, coordinators, and administrators. consideration of CAS activities to give new impetus to your CAS programme and experiential learning. We put you in contact with the right person for the task and together tailor the visit to suit your particular needs. A follow-up report can also be arranged. 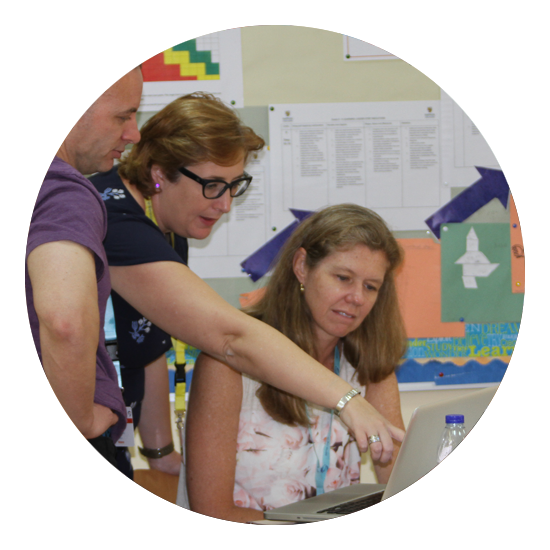 Our team of visitors have many years of IB teaching, workshop leading and assessment experience. The fee depends on your requirements. Please contact us on admin@ibicus.org.uk to talk about this in more detail.